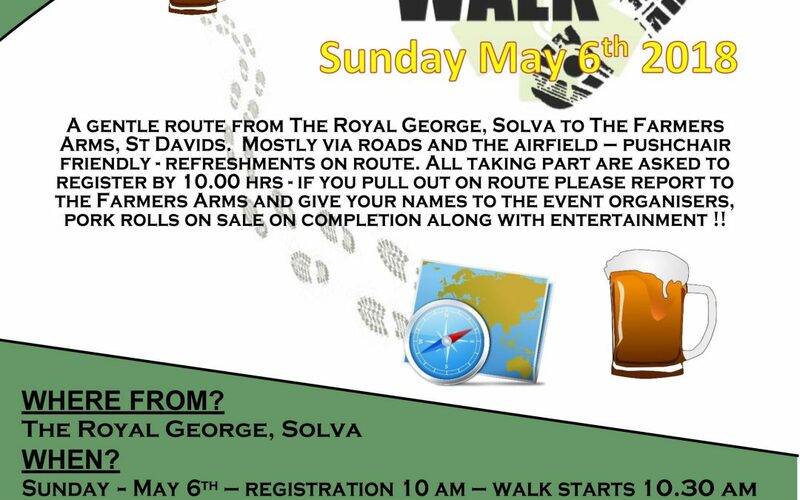 Why not have a day off from cycling on May Day and join members of St Davids Penknife Club with your family and friends on a walk from The Royal George in Solva to The Farmers in St Davids. St Davids Penknife Club are dedicated to local causes so you can be sure that all the money you raise will stay in Pembrokeshire. Registration 10:00 a.m.